We’ve been doing lots more exploring while Nanna’s here. 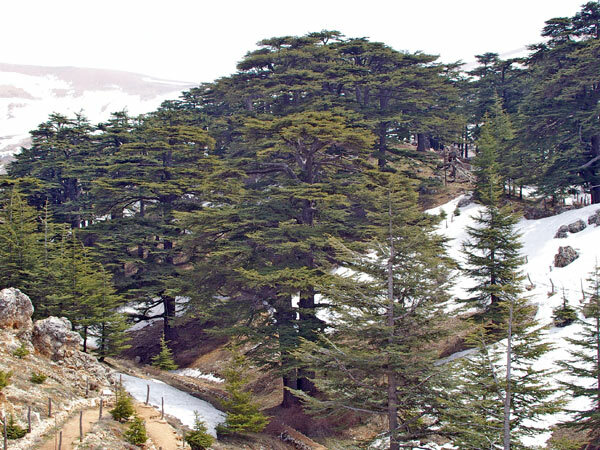 On Saturday we drove north up into the mountains to visit the Bcharre (pron: BESHARAY) region and to see the famous Lebanese cedars. Then on Monday we headed to the southern city of Tyre (pron: TEER). Bcharre is one of a number of towns on a ring road around the gorge-like Qadisha valley – known as the Holy Valley because of the number of monasteries, churches and hermit caves there and the Syriac translation of qadisho as “sacred”. The scenery is really dramatic, with all the townships clinging to the sides of the steep valley and the middle east’s tallest mountain, the snowcapped Cornet El-Saouda, towering overhead. The Bcharre district is where famed artist and author Khalil Gibran (third bestselling poet after Shakespeare and Lao Tse) was born, and it was a major centre for migration to Australia (everyone there has a family member who lives in Australia). Having done a recce to Tyre several weeks ago, we decided to take Nanna to southern Lebanon to explore the ancient Phoenecian, Greek and Roman ruins of this city which dates back to 3000 BC. First stop was a drive past the Crusader Castle at Sidon harbour, then a detour when we spotted a toy shop selling kids bikes (Nanna wanted to buy Mitchell a bike, so that he could inflict more damage on our furniture). 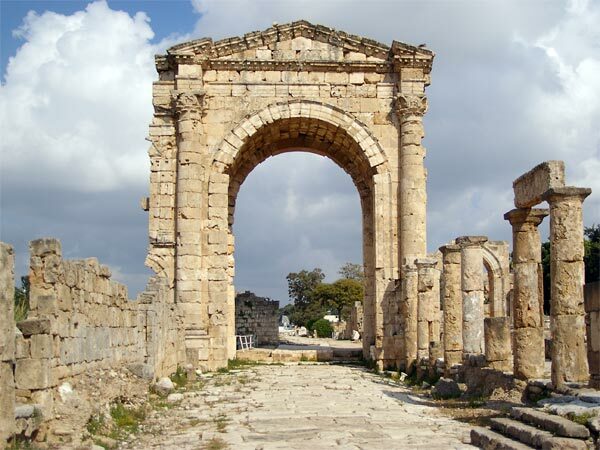 We then continued south to Tyre, a squeezy drive through the old city and stopped at the ruins of the old Roman port. The beautiful mosaic road runs straight into the sea, where a large section of the town’s sea wall has now vanished under the Mediterranean. You can still go snorkling among Egyptian and Roman columns on the sea bed. We next took advantage of the beautiful Spring weather to go and sit on the beach. 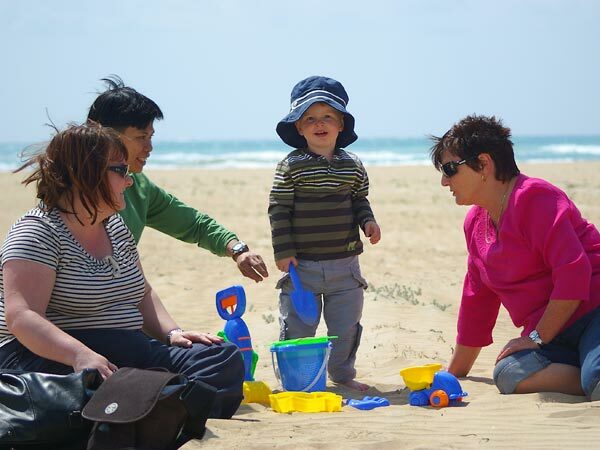 Sheridan did very well walking along the soft sand (with a little support from Alex and Nanna) and Mitchie had a great time digging out sandcastles and throwing spades of sand into our faces. Oh how we laughed! As the afternoon lengthened we ventured on to a neat little ice cream cafe overlooking the sparkling sea, with the Israeli headland 20km to the south. The proprietor looked at us like we were the most boring people he’d met as we each ordered a two-scoop ice cream. The reason for this quickly became apparent, when a Lebanese couple ordered a giant plate covered with sliced fruit, about 15 different flavours of ice cream, assorted toppings and with wafers and other crap sticking out all over the place. It was completely outrageous. Still, we were fairly content with our piddly little ice creams (until the next morning, when Sheridan and Nanna copped a bit of food poisoning). Final stop before returning to Beirut was the Al-Bass archaeological site, which contains a Roman cemetery, a triumphal arch, and the largest Roman hippodrome (think chariot racing in Spartacus) ever discovered.